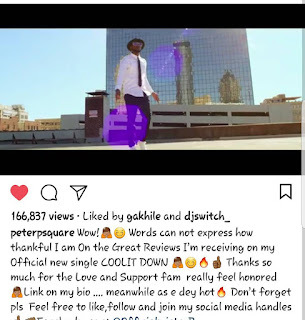 Wife of Singer, Peter Okoye aka Mr P, Lola Okoye has reacted to the song and music video "Cool it Down" recently released by her husband. "COOL IT DOWN finally out! 💃💃💃💃Issa jam! 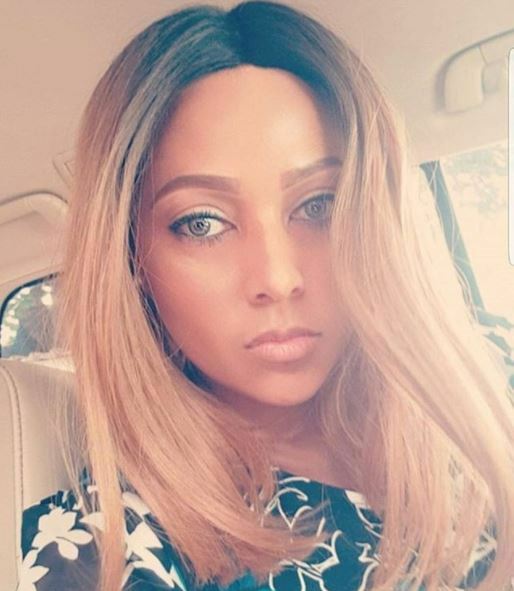 I'm just wondering why that chic is in my bed though.....lol! Go check out the video and help me judge matter o! 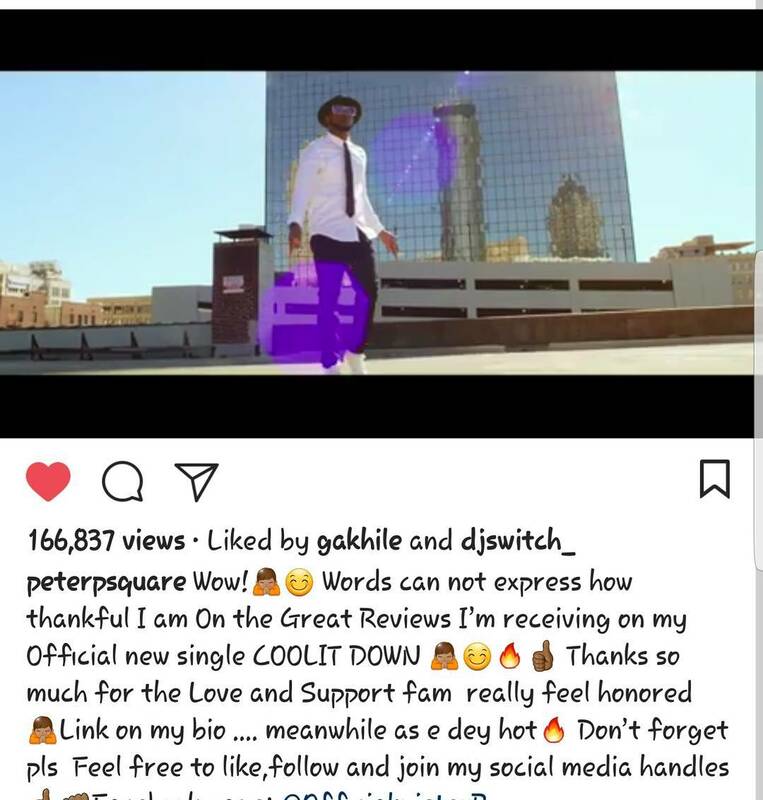 Link in @peterpsquare bio! Issa hot video! 😁😁🎖🏆♥️🔥🔥🎤🎸🎹🎙🎙🎵🎶🎼🎬🎬👌👌👊👊👍👍💋💋💋#MrP #coolitdown #myhubby #mybabydaddy #PCLASSIC #ogaatthetop🙌 @empire"